This beautiful watercolor print includes one of Brazil's most recognizable landmarks, Christ the Redeemer. Dedicated in 1931, this art deco statue has been overlooking Rio de Janeiro. 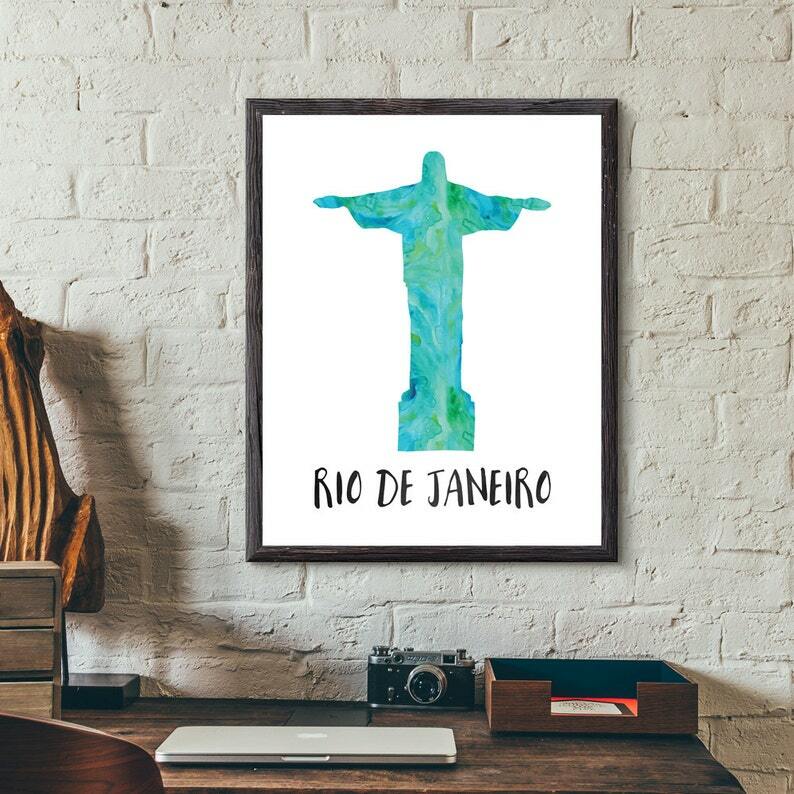 It is considered to be the symbol of Brazilian Christianity, Rio de Janeiro, and Brazil itself.